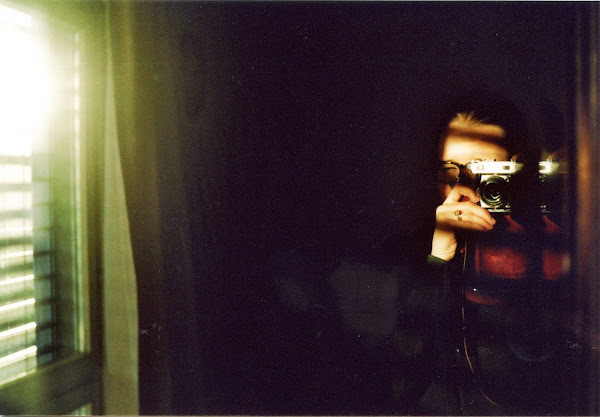 Why do you shoot film, Kristina? I just recently started to shoot film. It all started when I found my grandfathers old Kodak Retina hidden deep in a closet at my grandmothers house. Everything but the light meter seemed to work, so I loaded an expired roll of film and tried my luck. Ever since I am head over heels in love. The grain. The colours. The vintage look. The imperfection. The whole process of film photography simply appeals to me. I like the time I take to find the perfect shot. The sound of the shutter. The fact that I do not see the result in the same moment, which makes me think more about what I am trying to capture. The excitment when I pick up the developed film. The magical moment when I see the pictures for the first time. Being proud of the outcome. Understanding the techniques of photography more then before. For me shooting film is art, a craft. Magical. You can see more of Kristina's photos on her blog and Flickr.